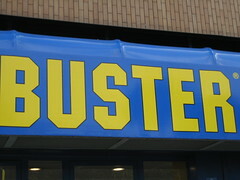 The only good news for Blockbuster last week was that its bondholders decided to give the video rental chain a six week extension on an interest payment. But the company has a whopping bn in debt and the odds of it surviving seem slim. While it has become somewhat cliché to claim that the internet has killed [insert industry name here], the truth of the matter is that technological disruption, led by companies like Netflix and Redbox, is responsible for many of Blockbuster’s woes. Netflix, of course, used the internet to make renting videos as simple as clicking a button and checking your mail, and is now helping make internet-based on-demand viewing a mainstream phenomenon. And Redbox’s model, which sports self-service kiosks and /day rentals, has obvious advantages over the bricks-and-mortar model Blockbuster dominated before the rise of the internet.